Congratulations to our partners at Audi Centre Sydney for being awarded the Audi 2018 Major Metropolitan Dealer of the Year! Winning a coveted Audi Dealer of the Year award is no easy feat. It is only achieved through an unwavering commitment to providing the highest standards of service and sales performance. “At Audi Centre Sydney, we know that excellence never rests. 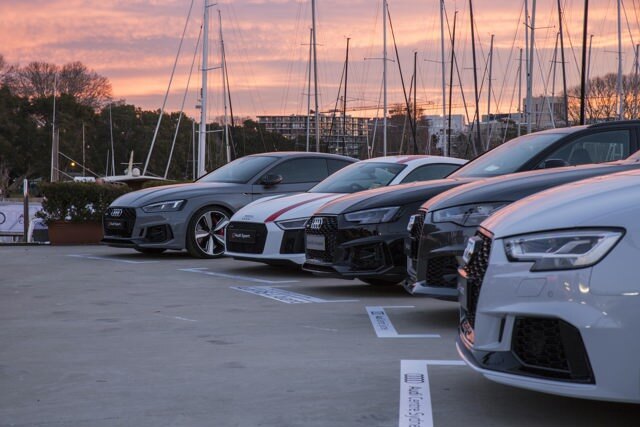 That’s why we would like to extend our congratulations to our team and thank everyone for pushing the boundaries and consistently raising the bar,” said Audi Centre Sydney in a statement. The Audi Centre Sydney team are a great supporter of the CYCA and the Audi Centre Sydney Blue Water Pointscore series, the pinnacle of ocean racing in Australia – which is set for another momentous season starting on 27 July. To experience their award-winning service, visit our partners at Audi Centre Sydney today. From everyone at the CYCA, congratulations to Audi Centre Sydney!